Get that sleek, bouncy or wavy hair without going to a salon. Just follow these easy how-tos from three top hair gurus. 1. Towel-dry hair and apply a volumizing mousse, like Pantene Pro-V Volume Boosting Mousse (target.com, $5), to roots. Rough-dry with a blow-dryer and your fingers until hair is mostly dry. 2. Section hair into six parts: Divide hair in half from forehead to back of your head. Then divide these two halves into three mini sections (top, middle and back) and pin each into a loose bun. 3. Start with the back sections. Using a round brush, roll a small section from one side around it. Move the brush up and away from your face (this upward motion is what’s going to give you volume! ), holding the blow-dryer with your other hand, following the brush. When dry, unwind hair to release it. Repeat until the back section is dry and bouncy. Next, use this drying technique on the middle section, working your way up to the front on both sides, until your hair is fully dry. 4. To add volume at the crown, grasp a large section of hair at the front of your head (temple to temple). Starting with the brush placed firmly behind the section, at the roots, roll the brush upward from roots to ends repeatedly with the blow-dryer moving along with it in front of hair. Quick tip Don’t touch hair after drying each section. Let it cool and set to reduce frizz. 1. 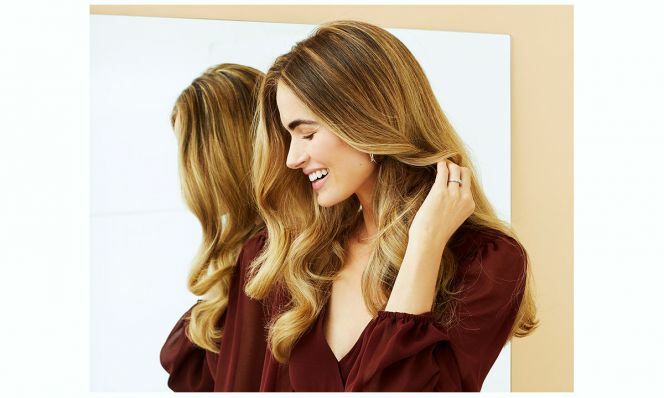 Apply a blow-dry cream, like Garnier Fructis Style Smooth Blow-Dry (garnierusa.com, $4.50), to damp hair, starting at ends (the driest part of hair) and working your way up through mid-shaft. Dab any excess product along hairline to prevent frizz. Flip your head upside down and rough-dry hair, aiming blow-dryer at roots to maximize volume. 2. When hair is mostly dry, flip your head up and split hair into four large sections. Clip the three you aren’t working on out of the way. 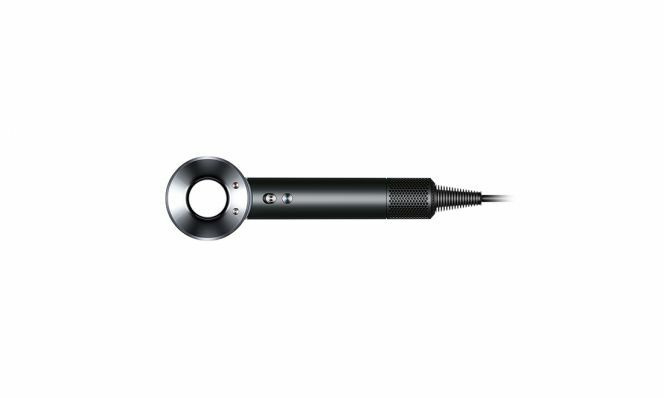 Using a medium round brush, blow-dry small sections within each section, wrapping hair around brush and drying in a downward motion. Continue with each of the other large sections until hair is completely dry. 3.Holding a curling iron (1.25-inch barrel or bigger—the larger the barrel, the looser the wave), take a small section of hair (about the same size as curling iron barrel) and wrap it around the iron, keeping ends out. Hold for about 10 seconds and release. Don’t stress if hair seems very curly—curls will loosen as they cool and once you run your fingers through them. Continue until hair is fully curled. When doing sections that frame the face, be sure to wrap hair away from face. Curling in this direction will open up your face. For the rest of the head, you can alternate the direction of the waves (wrapping toward face or away), which will keep the look natural and less perfect. 4. Use fingers to shake out and separate curls, and spray a dry texture spray, like OGX Flexible + Aspen Extract Texture Dry Texturizing Spray (ulta.com, $9), all over to add texture and fullness. Make it last A silk pillowcase won’t rough up your hair’s cuticles while you sleep—meaning, no bed head or frizz. 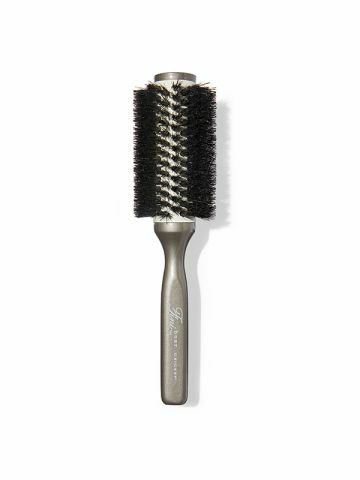 Quick tip The more tension you apply when using a styling brush, the more body you’ll build. 1. Apply a golf-ball-sized amount of strong-hold mousse, like Herbal Essences Set Me Up Extra Hold Mousse (walmart.com, $3), from roots to ends. 2. Create seven sections—one at top of head (the Mohawk section), one on each side of face and four around the rest of your head. 3. Starting with each of the back sections, blow-dry using a paddle brush with the dryer pointing downward. 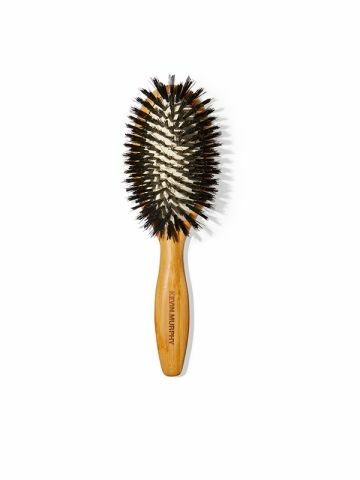 Place the brush under the section and pull it through hair in long strokes from root to tip with the heat following it. After finishing back sections, repeat steps for the two sides and the top section, pulling hair in front of face. 4. Once hair is dry, grasp 2-inch sections and iron them quickly (you don’t need to go over them multiple times) to create a smooth, sleek look. Finish with a light mist of shine spray, like Davines This Is a Shimmering Mist (us.davines.com, $29). Dyson Supersonic Hair Dryer, dyson.com, $400. Boasts a powerful motor with strong air flow that cuts your drying time in half (yay!). 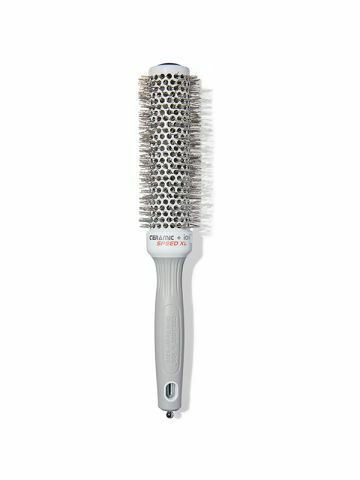 Revlon Perfect Heat Smooth Brilliance AC Motor Styler, target.com, $25. Built with tourmaline ionic technology, it releases negative ions to increase shine. Ghd Platinum + Styler, ghdhair.com/us, $249. 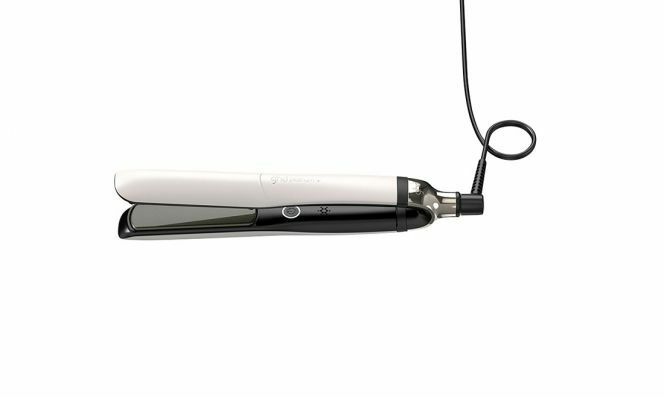 A high-tech iron that adapts its temperature to your hair needs, meaning less damage for your hair. Remington Pro 1” Flat Iron Color Care Technology, target.com, $33. The ceramic-coated plates with keratin oil will prevent hair from overheating and color from fading. 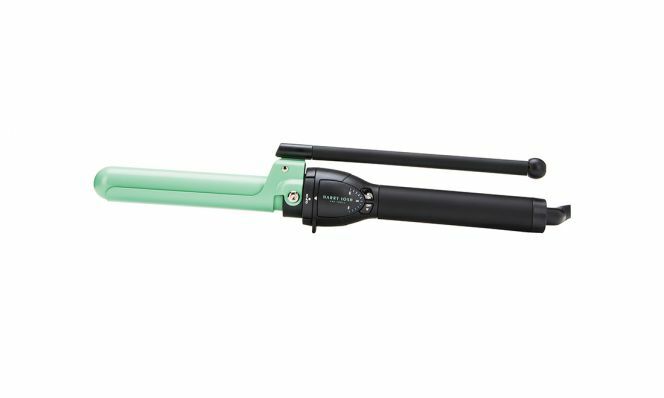 Harry Josh Pro Tools 2-in-1 Ceramic Marcel Curling Iron, 1.25”, dermstore.com, $185. The ceramic barrel heats evenly all over, creating an even wave. InfinitiPro by Conair Rose Gold Titanium 1½” Curling Iron, target.com, $25. This iron heats up fast so that you can curl stat, plus its titanium barrel boosts shine.